The stacked top of the Yankees’ lineup is a nightmare for opposing pitching coaches, forcing them to focus the majority of their game plan on not letting the big bats do damage. That is just fine for the likes of Miguel Andujar and Aaron Hicks, who have been permitted to thrive below the fold, making for a truly dangerous one through nine. 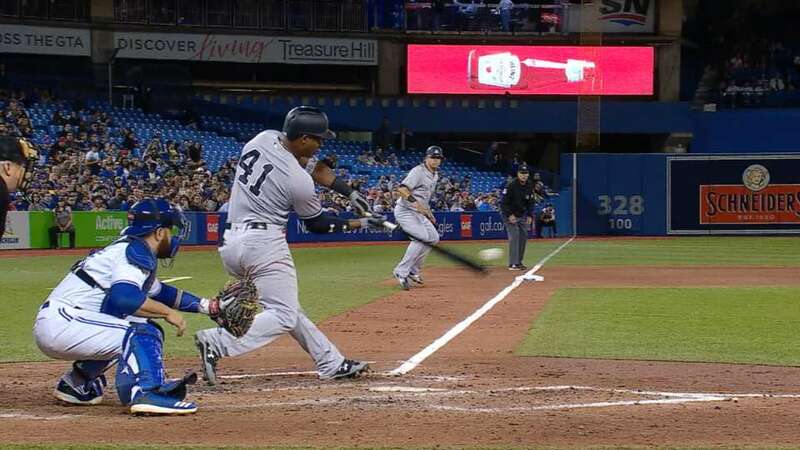 Andujar played the hero on Tuesday evening, crushing his first career grand slam in the seventh inning to help lift the Yankees to a 7-2 victory over the Blue Jays at Rogers Centre. Hicks added a three-run homer in the eighth as the Bombers posted their sixth win in seven games, improving to a Major League-best 30-9 since April 21.